Signature Me Limited - Carpets/Flooring based in East Grinstead, West Sussex. 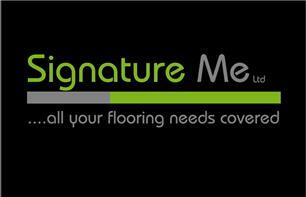 SignatureMe Limited family run business with over 14 years’ experience in the flooring industry. We pride ourselves in the quality of all our products and workmanship, supplying and fitting quality Carpets, Vinyl’s, Moduleo, Amtico, Karndean , Solid wood, Engineered Wood, laminates and much more. For your free quotation please contact the office 01342 604199 or Dean Brooker 07584496622. We will come to you with full sample ranges of all our products or you are more than welcome to visit our showroom and warehouse to select any type of flooring you may require or to speak with the experts to talk you through all the options. 1000's of Carpets from 100% wool twist and berbers to 100%pp stain resistant stripes and plains all qualities available to suit style and budget. Signature Timber Floors - Bespoke wood flooring products only available at SignatureMe any width/thickness/style/grain and colour you choose what’s right for you.